Bought for £ 375 after seeing it advertised in the Express and Star. The Beamish was used for one of the silly games at our "Bogsate" rally. Pete tried a bit of downhill work and folded the front wheel under the engine. Luckily it was the same front wheel as the current range of Suzuki mopeds so a replacement was soon obtained. 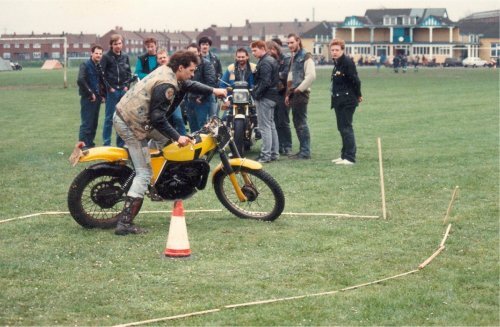 I eventually sold the bike to Steve Goode motorcycles for the same price as I paid for it. 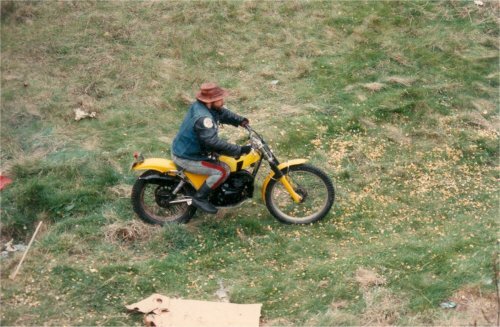 Steve Goode was the dealer who supplied my Enfield Bullet, for what it's worth.